Supporting the vibrant business community of Brevard County through networking, advocacy, education, and professional development. The Melbourne Regional Chamber is 1200 members strong, representing the area’s major employers as well as the small business, manufacturing and technology communities. Member businesses can access exclusive opportunities not available to non-members . Additionally, we provide our members with the unique prestige of being a select member of the premier regional business advocacy organization in Brevard County. Small businesses form the core of the Chamber's membership. 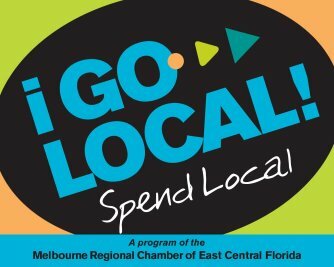 We will Connect You, Promote You, and Enable Your business to grow through exposure, networking, and education - all in a united and supportive setting that provides you an equal seat at the table...the Melbourne Regional Chamber of East Central Florida table. Large businesses are also critical to the Chamber's prestige and brand impact. The Chamber enables a greater quality of life by promoting the growth and corporate presence of our large business members in the community; the workforce quality that sustains large businesses, and a pro-business regulatory environment that will benefit large and small businesses. Our larger corporate members help us deliver this promise.